If you’re a lover of liquid foundations you’ll likely love Shiseido InteGrate Mineral Water Foundation Liquid. Apparently this is made with 100% pure mineral water which gives it a lovely dewy finish and hydrating feel on skin. If you love products like Estee Lauder Invisible Fluid Makeup, Chanel Vitalumiere Aqua Ultra Light Skin Perfecting Makeup, or Shiseido Perfect Refining Foundation it’s pretty much a no brainier you’ll adore Shiseido InteGrate Mineral Water Foundation Liquid. Shiseido InteGrate Mineral Water Foundation Liquid isn’t new but was recently reformulated for Spring 2014 and is available in four shades. I’m actually not a massive Integrate fan and it’s one of the few Shiseido brands I don’t really overindulge but I thought this seemed like an excellent lightweight foundation which is exactly what I like in my foundations so I went ahead and purchased it. It comes housed in a small heart shaped squeeze tube. As you can see I propped it next to an Urban Decay Lipstick just to give you an idea of how tiny it is! It’s formulated with an SPF 25 and I selected the darkest shade available which was OC30. I should have went with OC20 but Japanese foundations run so light I thought darker was better but this is a little too beige for me. However, it’s not too bad a match. The texture is positively lovely. It’s a liquid gel that isn’t too runny and has a certain creaminess. It is in fact comparable to all the products I listed above in terms of formulation. Pigmentation is sheerer but there’s enough coverage here to brighten skin, even skin tone, and conceal minor dark spots, redness, and other skin issues. It dries down to a semi-matte finish but feels quite dewy on first application. The powdery dry down does not accentuate my drier areas and has a knack for softening the appearance of my entire complexion giving more of an HD foundation finish. It wears for around five hours before it shows minor fading, very minor…and continues on for at least two more hours before showing major fading and wear. I like the refined finish it gives my skin. 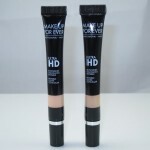 It’s very flawless and the coverage very lightweight and breathable. Overall, Shiseido InteGrate Mineral Water Foundation Liquid is a beautifully textured foundation with plenty of perks like a long wear and an excellent formula. I really liked this one and in some cases it’s even cheaper than some of the brands I mentioned above with many of the same benefits! If you have the chance do check it out. I purchased mine from AlphabeautyUK on E-bay. So right now its only available overseas? The packaging is super cute! Chanel Aqua foundation is one of my favorites, I love light weight foundations, always have. 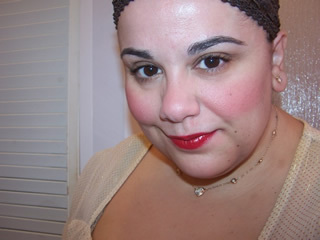 When my skin gets better, I want to wear makeup just like this! And the packaging…just too cute. I just bought this on a whim in Tokyo, tried it on and loved it!! I’ll be buying a back-up. Looks very natural and love how it brightens my complexion. For a medium skin, would it be better to get OC30?